Over time, all of your drains can accumulate layers of debris, grease and sludge which will cause blockages and backups in your sinks. Eagle can keep your drains clear and your business running smoothly with its line jetting service. We use high-pressure water jetting equipment which can ensure your lines flow cleanly and help you avoid the expensive service calls down the road which will help you avoid a larger expense later with service calls and clogged pipes. Water jetting removes grease and will break up sludge and will also clean out the system in an environmentally sound matter the most efficient way possible. 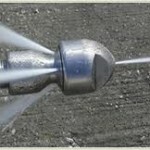 Eagle Services line jetting service will keep your drains clear from the sink to the grease trap to the city sewer line. Restaurants or food service facilities generally require line jetting about every 3 months to keep things running clear and keep them from backing up. 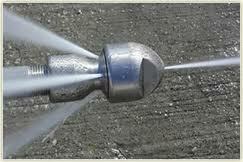 Give us a call to come out and give you an estimate on your line jetting. We service the entire valley, including Gilbert, Peoria, phoenix, Mesa, Chandler, Buckeye. We have licensed technicians in the Electrical, Plumbing and HVAC. This entry was posted in Local Plumber, Phoenix Plumber, Plumbing, Uncategorized and tagged Chandler, clear drains, grease removal, Phoenix plumber, plumbing, repair, Water Jetting. Bookmark the permalink.